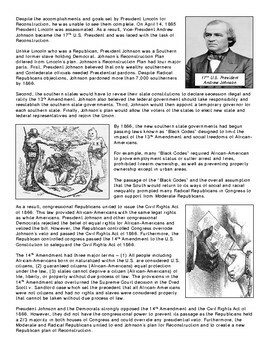 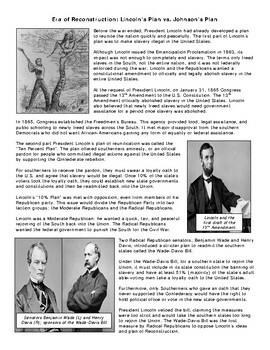 This product is a two page reading section covering the Reconstruction plans of President Lincoln's 10% Plan, the Wade-Davis Bill, and President Johnson's Plan, the 13th amendment, Black Codes, Civil Rights Act of 1866, and the 14th amendment. 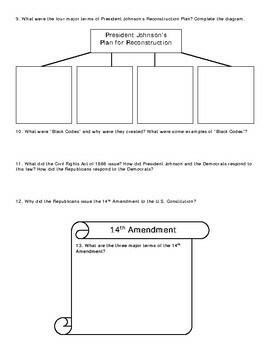 The product also includes short answer questions and graphic organizers. 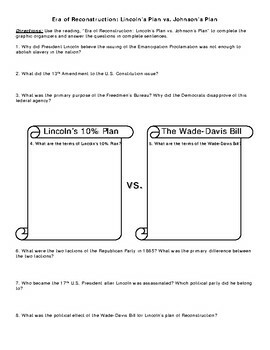 Answer Key of suggested answers is included.